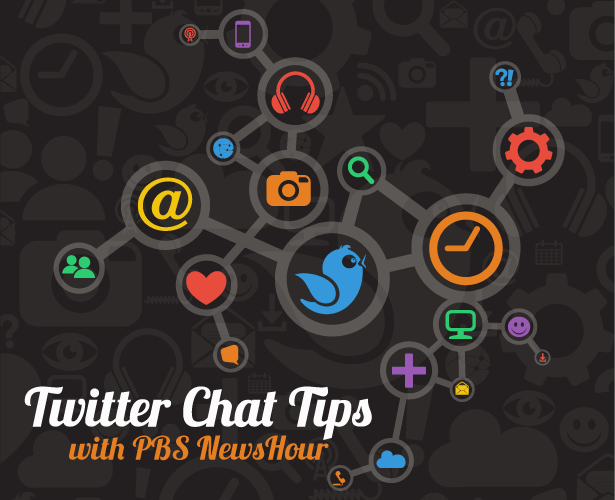 PBS NewsHour hosts a weekly Twitter chat, drawing countless tweeters from all over the twittersphere. What's their secret to success? Let's find out from the woman in charge of it all. Tell us more about the idea for #NewsHourChats. 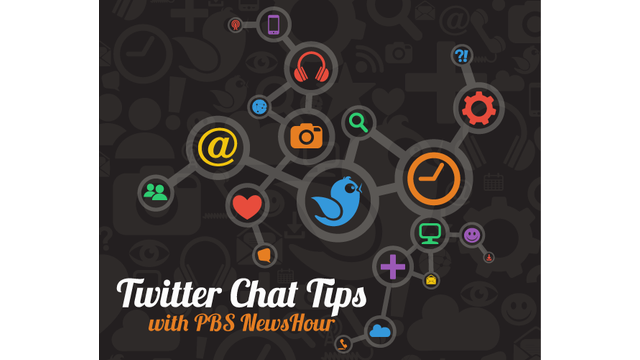 I began #NewsHourChats in July 2013, shortly after I started at PBS NewsHour as the first audience engagement specialist. I subscribe to the philosophy that a story doesn’t end when it’s published. It continues on social media and in the comment sections. When I was a local reporter, I would often find new story ideas from those comments. #NewsHourChats is an idea I developed to harness those discussions and engage the audience on stories that had already been published or were about to be published. We hold a chat every Thursday from 1 to 2 p.m. ET. I chose Thursday as the day, because it gives me time to prepare a chat around an online or on-air story from earlier in the week. Having the chat from 1 to 2 p.m. ET gives us the chance to catch people from both coasts during lunchtime. Topics vary widely, although lately we’ve done a lot of health topics. We’ve held chats on everything from arthritis to thechallenges cities face in light of Detroit to changing perspectives within the Catholic Church. We don’t have specific analytic goals for the chats. Obviously, I want as many people to participate as possible and drive traffic to our website. More than that, though, I consider a chat a success when people come back week after week and have civil discussions on topics with people that hold different viewpoints. How do you advertise the chats and what do you do with the content afterward? On social media! We tweet out questions related to the chat in the week leading up to the event. When we have a chat partner, they will tweet out the event details too. A post will go up on our Rundown newsblog promoting the chat on Tuesday or Wednesday. That same post also embeds Scribble Live where we collect the tweets during the chat. Depending on the chat, I may write up another blog post afterwards highlighting some of the best answers, but often the tweets just stay embedded on the blog post. Do you use a third party service to manage the chats? If a station has more questions about hosting a Twitter chat, can they contact you directly? Of course. Email is best: bshirvell@newshour.org. Before Bridget became the Audience Engagement Specialist at PBS NewsHour, she was honing her social media and local reporting skills at AOL’s Patch. Even though she loves social media, she’s committed to spending at least one week unconnected before she turns 30.